← Is the NFL really a threat to the NRL? Cricket in Australia is at a cross-roads – Which way will the road turn? Bring Captain Grumpy back. It is the 80s all over again. This isn’t a piece on fixing Cricket in Australia. I wrote that tome back in 2014 and the League of Extraordinary Gentlemen wrote a nice rebuttal soon after. Got to love the word rebuttal. This is about the rebuilding process that the Australian selectors have been putting off since the Mark Taylor era segued into the age of Steve Waugh which slid into the robust Ricky Ponting period which stumbled into the shaky Michael Clarke administration and abruptly ended in poor Steve Smith’s tenure. They’ve been putting it off and putting it off, relying on veterans that didn’t get an adequate run in the halcyon days of Australian Cricket, but now they are all gone. After an absolute shellacking in Sri Lanka, which was ignored because, after all, Sri Lanka is a tricky place to play, the Australian selectors were forced to face the cold hard truth during the lost home series against South Africa. They had dithered long enough. They needed to blood a completely new team around David Warner, Steve Smith and Mitchell Starc. They finally came to the same realisation most of us had already arrived at some time ago resulting in the debuts of Peter Handscomb, Nic Maddinson and Matt Renshaw on the back of retirements from Michael Clarke, Shane Watson, Mitchell Johnson, Ryan Harris, Chris Rogers and Brad Haddin. If history is anything to go by, prepare for a period of considerable pain. Almost losing to Pakistan is just the start. Let’s compare to the only previous era in my memory that such a significant rebuild was required, the summer of 1983/84. Those who were alive back then will recall the period after the retirement of Rod Marsh, Greg Chappell and Dennis Lillee as a similar period of time where the Australian selectors rang the changes with alarming regularity. The team for the First Test against the West Indies in 1984/85 was captained by Kim Hughes and comprised of a number of players which straddled both eras (Kepler Wessels, John Dyson, Graeme Wood, Allan Border, Kim Hughes, Graham Yallop, Wayne Phillips, Geoff Lawson, Rodney Hogg, Carl Rackemann and Terry Alderman). Just five years later the end of the dark ages of Australian Cricket was signalled by a dominant 1989 Ashes Tour. 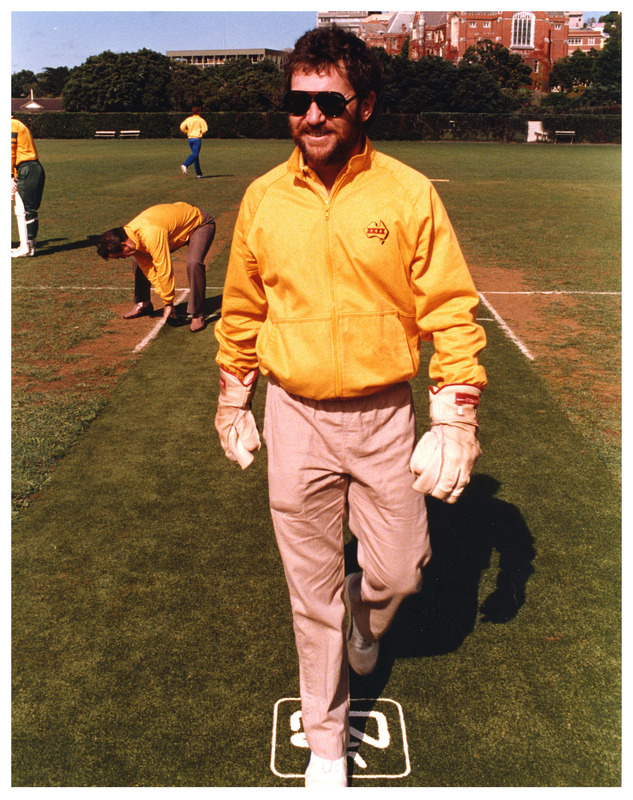 The Australian team was a very different side by then and a million players had come and gone but the Australian selectors had formed a nucleus shaped in the image of Allan Border (Geoff Marsh, Mark Taylor, David Boon, Allan Border, Dean Jones, Steve Waugh, Ian Healy, Merv Hughes, Geoff Lawson, Greg Campbell and Terry Alderman). For instance, at one stage Australia used Steve Rixon, Roger Woolley, Wayne Phillips, Tim Zoehrer and Greg Dyer behind the stumps between Rod Marsh and Ian Healy. Probably the thing that best sets the Allan Border era apart, remembering that the Australian team also had to contend with rebel tours to South Africa depleting the playing ranks, was its tenacity. Australia drew many, many tests which it could have easily lost. The Australian selectors continued to stick by Steve Waugh for years waiting patiently for him to become the cricketer they knew he could become. It seemed forever before he reached his first century. The other significant difference between that era and this one is that the Allan Border led Australians had to contend with the West Indies juggernaut. The only team between then and now which was as dominant as that West Indian side was Steve Waugh’s Australian team. There is a distinct lack of a dominating World power at the moment. Most teams are frisky at home but not many can dominate away from home. At least there’s that. And that is the last post for 2016. Thanks for all of you that followed my blog. Have a merry Christmas and a happy new year. Next exciting episode will be on Friday, 13 January 2017 titled ‘Warriors vs Cavaliers is the new Batman vs Superman’. This entry was tagged Allan Border, Australia, Cricket, England, New Zealand, Steve Waugh, West Indies. Bookmark the permalink.